With October right around the corner, there is something very important you should know. October is the absolute best month of the year for a family vacation in Orange Beach. Locals wait all year for October to arrive. It is the month we take the beach back. With much smaller crowds and perfect beach weather, we just couldn't keep the secret for long though. So why don't you book a last minute trip and find out for your self! October is the month of the best festival on the coast too, the Shrimp Fest. I mean what says vacation more than fried shrimp from a traveling carnival booth. Throw in a Cajun Pistol and you can truly have a vacation in paradise. A huge special thanks to the wonderful family we got to photograph at last night's sunset session. Thank you for calling us to do your perfect family portraits on the beach. We are so excited at how great your session went, and we hope you have a wonderful weekend hanging out on the beach with your boys. For those of you out there that have never visited our little island during October, you are missing out. Make it a point to come down here during October. It will be the best family vacation in Orange Beach you will ever have. I promise once your experience October, you will never want to come down any other time of the year. You will beat the heat, and beat the crowds on top of discounted condo rental rates. So give us a call today at (251) 968-2119 and let us help you out with all your plans. 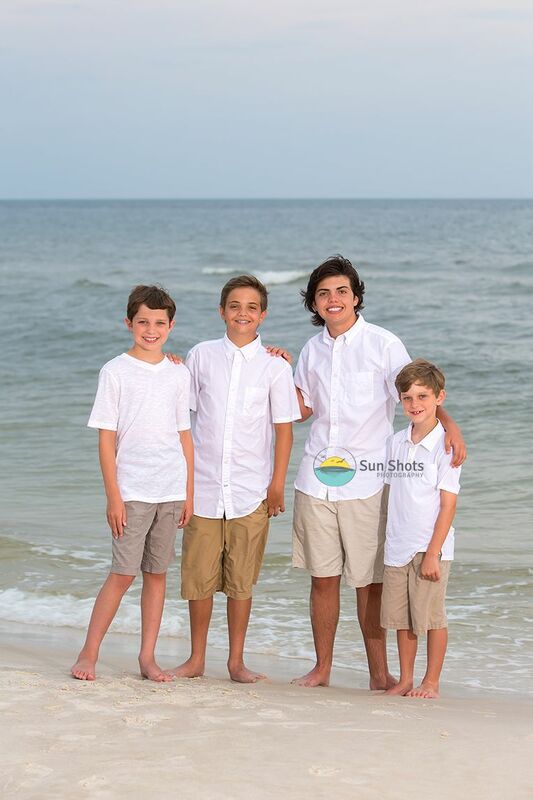 You can find more information about our family beach portraits on our main website at Family Vacation in Orange Beach.